Based on the tones and circuit of the most valuable amp on the market today, Dumble® Overdrive Special. Based on the tones and circuit of the most valuable amp on the market today, Dumble Overdrive Special. This module features a thick, creamy, chocolatey overdrive, and liquid singing sustain with loads of texture and dimensional detail. Both channels of this vintage legend are featured in our module. 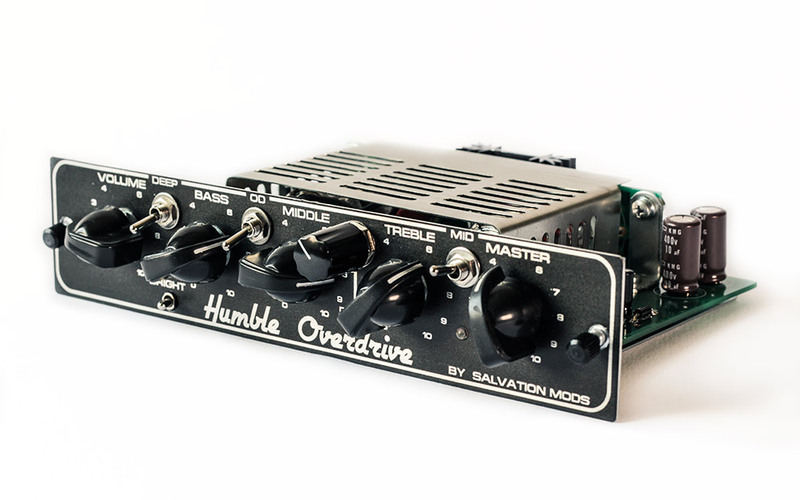 Some additional features make Humble Overdrive one of the most unique preamps in our portfolio. And a MID shift adding singing mids to lead tones. A stellar clean channel is available and OD switch activates famous Overdrive channel made famous by Robben, Stevie, Larry, Eric and several other great guitarists.